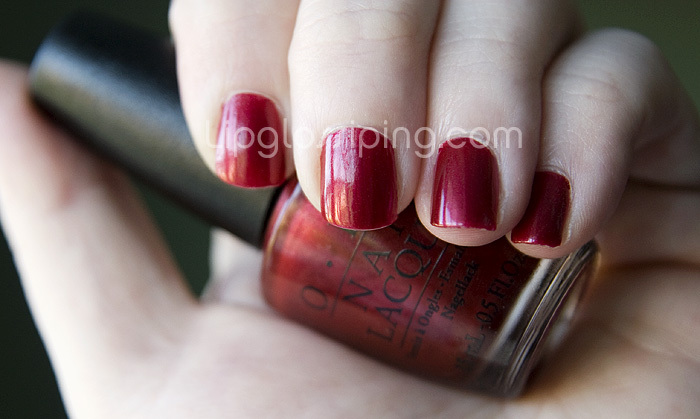 The perfect wine red for cool toned gals like me. I always forget just how much I love this shade until I rediscover it in my little box of polishes. A solid 2 coater, hardwearing and glossy with a lovely shimmer. I have a slight problem with nail tip wear with this polish though, you might be able to make out on the tips of my ring and little finger in the above photo which was taken the morning after application. I’m guilty of not wrapping my polish over the tips of my nails though, it always feels like such a sloppy thing to do. Does it really aid longevity on the tips? Anyone care to share their ‘classic’ faves?